After Nines Inc. Reveals Next Move — After Nines Inc.
After Nines Inc., providing timeless IT guidance from 9:01 daily, has launched “Good Evening, I.T. Entrepreneurs” -- a weekly podcast featuring world-class technology CEOs and co-founders sharing their guidance on company launches, expansion strategies, funding, exits, IPOs and more. New interviews premiere each Tuesday at 9:01 p.m. ET (http://www.afternines.com/ceo). Jyoti Bansal, CEO and co-founder of AppDynamics -- which has raised more than $200 million for its fast-growth Application Intelligence Platform. 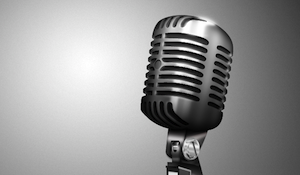 The podcast series debuts in coordination with the AppSphere 2014 conference this week in Las Vegas. Tristan Barnum, CMO of Voxox and co-founder of Tellient -- an analytics company focused on the Internet of Things. Tristan previously co-launched, built and sold Switchvox to Digium. Patrick Brandt, CEO of Zimbra -- which develops a unified collaboration platform used by more than 200,000 businesses worldwide. Brandt has driven multiple M&A deals, including the recent buyout of Mezeo -- the secure file sharing company. Additional guests will debut each Tuesday at 9:01 p.m. ET (http://www.afternines.com/ceo). The free, editorially-driven podcasts are funded through After Nines Inc.’s sponsorship model. Funding Stages -- bootstrap, friends and family, angel investments and venture capital. “Good Evening, I.T. Entrepreneurs” is hosted by Joe Panettieri, Content Czar, After Nines Inc. Over his two-decade IT media career, Panettieri has earned exclusive interviews with Bill Gates, Eric Schmidt, John Chambers, Marc Benioff, Mark Hurd, Meg Whitman, Michael Dell and other technology vanguards. Now, he’s applying that interview know-how to the podcast series.